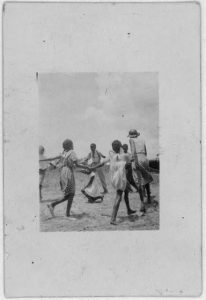 While looking at my of the photos on in the Lomax Collection, I was drawn to some photos of children who were playing singing games near Eatonville, Florida in 1935.1 I was curious not only about these games, but about what music was sung, and in what situations these specific games were played. Unfortunately, I can already tell those who are reading this that I had immense trouble finding answers to these questions, and instead am simply going to be drawing connections between the photographs of these events, and the broader importance of the maintaining of music in children’s lives. It is thanks to this kind of technology that we can preserve these kinds of songs and dances, and the games and fun associated with them. 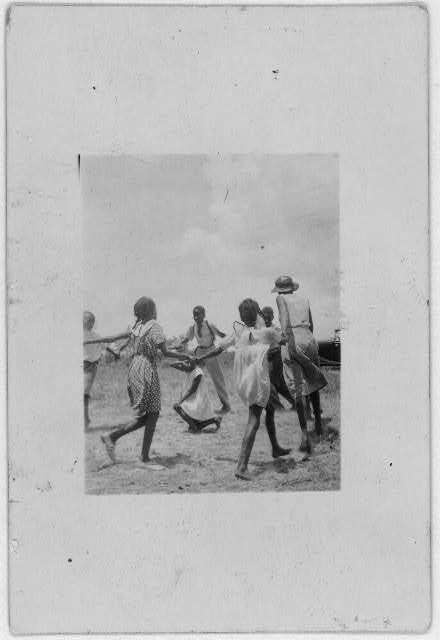 It also allows a continued study of the importance it held, perhaps not even in a specifically cultural context, but to those, such as the children in the photos, who enjoyed the music for what it was. At the same time, it is advancements in technology that give me cause to worry. As a kid, I remember music played an important role in my life through games outside with friends where we would sing London Bridge and then fall into a heap giggling at the end of the song, or Ring Around the Rosy in the park. Nowadays, kids are playing video games and using technology to have fun, instead of the good old music. Now, I’m not here to preach against video games or specific age limits to which we should introduce our kids to these types of new technologies, but instead I’m here to touch on the importance of at least remembering the past, and the different ways in which people entertained themselves. As we’ve learned in our courses, music tells a story not only about the composers and musicians performing the pieces, but also of those who listen to it. Music connects us to our emotions, whether we be children or adults, and our tastes are affected by our states of existence and being. 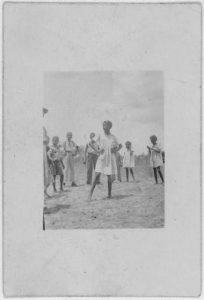 As children, this is the same, and the preservation of these experiences – children playing singing games – through photos and recordings helps us understand our ancestors, as well as just differing ways of life due to the passage of time. Preserving these events in our daily lives is something I believe to be important, just as it will likely be important to preserve how children entertain themselves nowadays, whether or not we agree or disagree with it, because it’s defining of the times we live in. 1 Lomax, Alan. 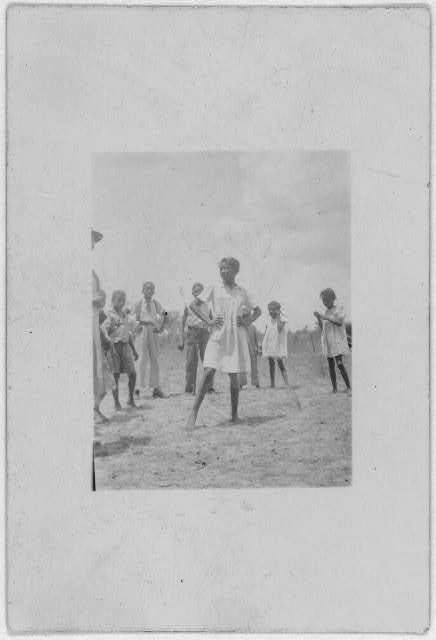 African American children playing singing games, Eatonville, Florida. June, 1935. Lomax Collection, Library of Congress Prints and Photographs. Accessed October 2, 2017. 3 NPR. The Sound of 1930s Florida Folk Life. February 28, 2002. Black History Month, NPR. Accessed October 2, 2017.